SIX players made their way onto AFL lists last year, and now Geelong Falcons Talent Manager Mick Turner is excited about the increased depth at his disposal this year. After winning the premiership in 2017, the Falcons had some top-end talent in 2018, led by eventual number one draft selection Sam Walsh, but struggled for consistency throughout the year as their young depth was tested. Turner said while their best stacked up against most sides, they were better placed in 2019 with the increased experience of those now top-agers. The Falcons were one of the top performing teams at the recent NAB League Fitness Testing Day at Maribyrnong College hosted by Rookie Me. They were ranked number one in the yo-yo test, which Turner said boded well for the season showing they had both the speed and endurance to run out games. While they were tested by Greater Western Victoria (GWV) Rebels in the recent practice match, Turner said there were some standout performers from the match. In 2019, Stephens is the number one midfielder, having taken over the role left by Walsh, and with McHenry and Oscar Brownless also out of the midfield and now plying their trade at AFL level, Stephens will look to continue how he finished off 2018. 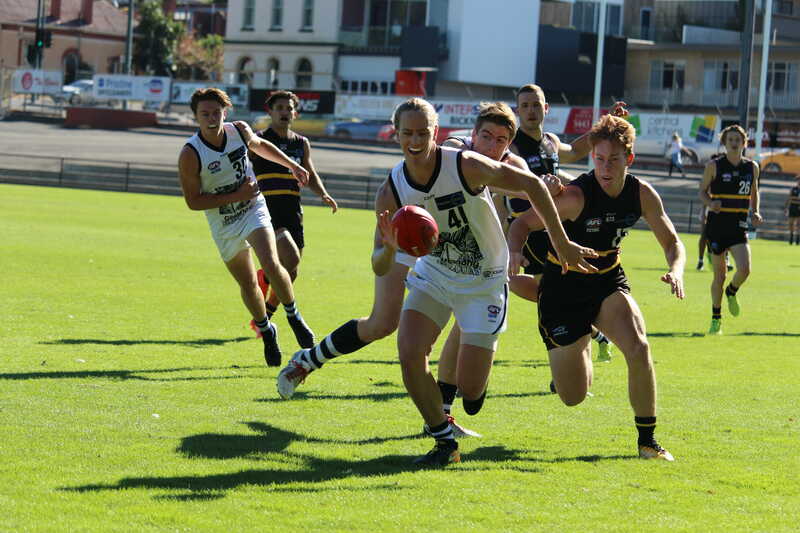 As well as their top-end talents, Geelong has a number of bottom-agers who impressed in the Under 16s last year and look to develop them throughout the year ahead of their top-age year in 2020. Despite results on paper being better in 2017, the Falcons had more players drafted in 2018. Turner said this exemplified the nature of the development side of the TAC Cup, now NAB League. While winning was terrific, it was more an added bonus to having a high number of players drafted into the AFL. It has been well known in the AFL industry that Geelong is regarded as one of the best “football factories” in the country, something that Turner and the Falcons embrace with pride. Turner said it was important to maintain consistency, and more important than anything else, to get the most out of each and every player on the list for them to reach their ultimate potential. Turner said the club always strived to focus on the Falcons’ key message of resilience. At all levels of Australian Rules football, challenges arise whether through injury or selection setbacks, or even within matches, and the Falcons are keen for the players to show resilience on and off the field. Geelong Falcons kick off their season on Sunday against Bendigo Pioneers at Central Reserve, Colac. Will you be covering the northern academies too? We will look at doing previews of the academies, NT and Tasmania ahead of next weekend – their first games.